Kṛṣṇacandra Dāsa – Śrī Vṛndāvan Dham: The concept of ISKCON being infiltrated as outlined by an article by Sukadev Prabhu below merits consideration. These two statements, taken in light of the unfolding of the history of ISKCON, are prophetic statements, as all statements made by Srila Prabhupada are factual and not superfluous. They were spoken with the intention to educate and prepare us for the future. How else are we to understand these statements by the pure devotee? Precisely what the ‘great sinister movement’ is was never elaborated on nor were we given an explanation on specifically what to look for with regards to ISKCON being destroyed from within. However, it is evident from these two prophetic statements that Srila Prabhupada was aware of an organized group of people inside ISKCON, who had the intent to destroy his ISKCON Society. Sinister: refers to something stemming from evil characteristics or forces; wicked or dishonorable. Movement: refers to a group of people with a common ideology who try together to achieve certain general goals. Infiltration is a very common practice amongst human societies since time immemorial and it is unreasonable to think that it has not and is not occurring within our own ISKCON Society. If we are to assume that some, if not most, of the schisms that have existed in ISKCON are the activities of infiltrators, then it is only prudent that we attempt to ascertain the instigating party or parties that are behind these activities. At the very least we should make a sincere and thorough attempt to ascertain if the prophetic statements by Srila Prabhupada are, in actual fact, occurring within ISKCON. If the above statements are an actuality, then we can understand that after 33 years they would already have a very secure grip on the Society and have successfully turned ISKCON into FISKCON. It must be noted that for a Society that has only been in existence for 4 decades and with a small number of adherents, comparatively speaking, ISKCON has been fraught with a very high incidence of schisms. The introductions of schisms within any organization is the surest method to destabilize the members and to bring about either a disintegration of the organization or at the very least to retard its progress. It is also not unreasonable to find that infiltrators of organizations take positions that are seemingly in opposition to each other. The complexity and thoroughness of the infiltration of an organization that has such a high level of philosophic grounding in all its activities, such as the ISKCON that Srila Prabhupada established, is no simple process. The high level of commitment and dedication to Srila Prabhupada and his philosophic conclusions by his true followers would be the most difficult task for any entity to break down. 1. The first task would most definitely be to interfere with the link between Srila Prabhupada and his true followers by the placement of impediments to direct access to Srila Prabhupada by the way of the creation of the Rubber Stamped Gurus and GBC. 2. Then the creation of argument and dissention between the followers via the introduction of errant philosophical opinions or emphasis will naturally follow. 3. This is process is greatly increased by the corruption of the leaders of the various schisms who after being reinstated or allowed to remain in their positions creates a mood of hypocrisy in the Society. 4. Then there is the creation of division by the proliferation of various groups or parties within the society. This is accomplished by the Guru Math system which sees Guru operating their private programs and projects. 5. Then lastly the formation of separatist movements where members seek to establish their individual projects outside of ISKCON or to establish entities in an attempt to take the place of ISKCON. The infiltrators will not necessarily have to do all the leadership roles, as many members of any given society are willing to be involved in various processes or programs that they believe is for the Societies greater good. Many projects have sprung up ‘outside’ of ISKCON that promote themselves as representing ISKCON and use monies and resources spinning off from Srila Prabhupada’s ISKCON that perhaps would have been better utilized if the devotees used their time, energy, resources and monies to fight FISKCON from inside. 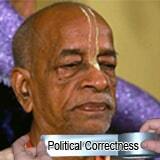 There is no necessity to leave ISKCON or have the mentality that one has left ISKCON. If you love Srila Prabhupada and desire to change ISKCON, stay inside, and use your efforts to fight not only via non compliance to the Institution, but also to help educate or fund Temples and incorporate them under the original incorporation papers of ISKCON devised by Srila Prabhupada. 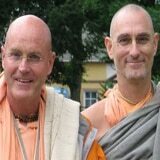 Many hundreds of thousands of dollars are wasted on legal action against the errant GBC and gurus by well intended devotees who have established projects outside of ISKCON. In the end, any separatist action against ISKCON only plays into the hands of the errant GBC and gurus and wastes valuable time, money, manpower and resources that are better used to fight FISKCON. Certainly the idea that ISKCON has been infiltrated by some unknown or undisclosed entity is entirely reasonable and would go a very long way in explaining how the Pure Devotee’s Spiritual Society has become riddled with quarrel and hypocrisy. Their success has been to use an old understanding of human nature that very easily tricks the unsuspecting “to mistake words for deeds”. The gullibility of the masses is to believe in the words of a leader even in the face of overwhelming evidence that displays that they do the exact opposite of what they say. We at PrabhupadVison would like to open up this subject matter and welcome any pragmatic observations from the devotional community with regards to this topic. Thank you for your very nicely presented website and the bold and thoughtful manner in which it is presented. I have attempted to have this letter posted on many ISKCON websites but no one is willing to do it. My only guess is that they fear this being introduced into devotee discussions? I do pray that you have the courage to post this prabhu’s but I understand if you think that is better left unsaid. I do not want to get into the topic that our learned and erstwhile fellow Vaisnava is debating but I would like to comment on his idea that ISKCON can be ‘infiltrated’. By using terms such as ‘infiltration and infiltrators’ Urdhva Ketu prabhu infers that there appears to be a conspiracy of sorts within ISKCON. Infiltrate means: Enter a group or organization in order to spy on the members. Here he is presenting an entirely reasonable possibility that individuals or groups have conspired to infiltrate ISKCON to spread false interpretations of our Sastra. He is presenting the case that the Ritvik adherents are infiltrators. If this is so, how would one classify the ‘Rubber Stamp Gurus?’ Certainly they would have to be classified as infiltrators too? The only difference being is that they were much more successful at taking over the movement. If one was to accept the proposition that ISKCON was capable of being infiltrated then we would have to assume that there are individuals or groups within ISKCON who may have an ulterior motive for being a devotee than the general devotee who seeks to become Krishna Conscious. It would be safe to assume that there is not much to gain for an individual if they were to act on their own accord to infiltrate any group that walks around in bed sheets unless they are mentally deficient. So it is therefore safe to assume that a camp or group was doing the infiltration. This perspective sheds a very different light on the problems and heresies within ISKCON as when a group or camp does the infiltrating then we have to begin talking about conspiracy for that is exactly what it is. 2. Or perhaps exchange it for the term entryism which is a political tactic by which an organization or state encourages its members or agents to infiltrate another organization in an attempt to gain recruits, or take over entirely. Then we can relook at the other so called heresies within ISKCON. When we look at some of the main problems that have faced ISKCON from the perspective of infiltration (Conspiracy) we have to ask the question why and who? The first reason one should look at is motive. Why would any group desire to take over or attempt to destroy ISKCON? What would they have to gain? 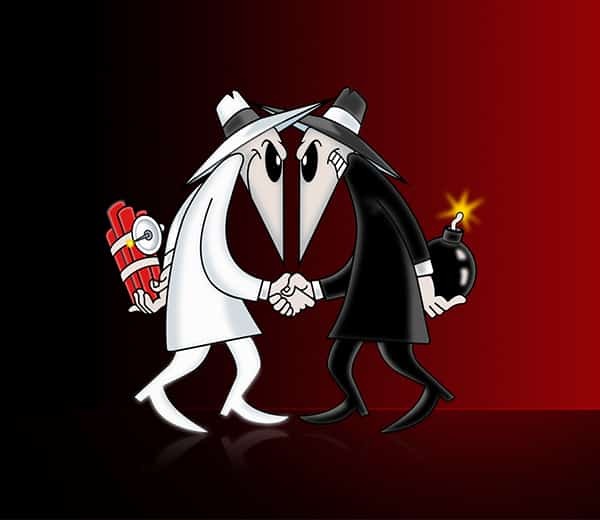 One would look to some commonality or something that links all the conspiracies or problems together. Then you would look to their modus operandi or any specific technique or system that they may universally employ. I believe if we looked at the question of infiltration of ISKCON posed by Udhva Ketu seriously we would identify the cause of our problems and better seek a solution. Perhaps Udhva Ketu prabhu needs to broaden his horizons a little more, to encompass groups other than the tired old Ritvik red herring. I personally believe that Urdhva Ketu prabhu is right in assuming that ISKCON has been infiltrated but what we have not done as yet is to identify who these camps or groups are and deal with them appropriately. Maybe we need to look at the problems within in ISKCON from a different perspective than we, as a movement, are already doing. 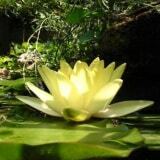 I would like to say that the direction that many of the topics being dealt with on the Sampradaya Sun is beginning to get to the root of our problems. So keep up the good work.